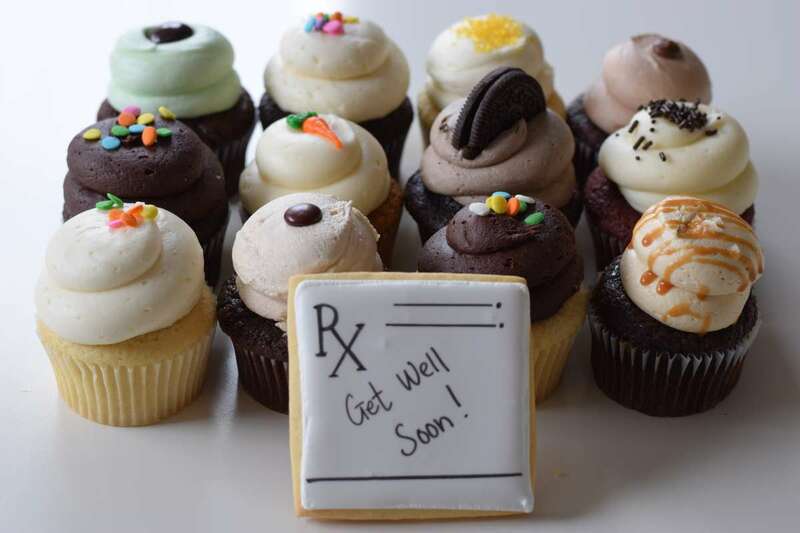 Send a gift of goodness and for a speedy recovery with a Get Well cupcake gift box. 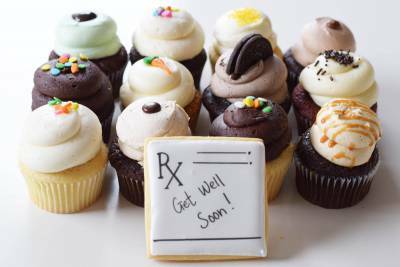 We have special gift options to allow people in Toronto to order cupcakes for delivery that include a hand crafted "Get Well" message. You can also include your own custom message and photo for free on the gift inscription card that is included with every cupcake gift. Below are a few of the gifts we deliver in Toronto to help celebrate a Get Well. You can also Build your own Get Well gift today. We include a FREE on-line inscription card system to help make your cupcake gift extra special. With our gift inscription system, you can include your own photo and meaningful message with your Get Well gift.